Athens, Ga. – The University of Georgia will enhance its alcohol education and prevention programs thanks to a $1.5 million gift from Jack and Nancy Fontaine of Houston, Texas. The donation is their latest in nearly $6 million of support to the Fontaine Center for alcohol awareness and education since the center’s establishment 11 years ago. This gift will allow the Fontaine Center to increase the capacity of its Collegiate Recovery Community, as well as expand its proactive educational programming both on campus and throughout the state. Jack Fontaine notes that the center has come a long way in its first decade, in both quantity and quality of service. Following an expansion of the University Health Center building in 2009 the Fontaine Center gained prominent and additional space and has grown to better meet the needs of UGA’s students. Liz Prince, who has served as director of the Fontaine Center since 2012, described the center’s growth from assisting with individual cases of alcohol abuse to its current comprehensive programming that covers other drugs like marijuana and prescription drugs, as well as issues of interpersonal violence and sexual assault response. “We’re able to address things that really impact students where there’s an intersection between alcohol and drugs and violence,” she said. Now the center offers a “spectrum of services,” including prevention, early intervention and recovery support. They are also able to put students and families in touch with trusted treatment professionals around the country. Students know and trust the Fontaine Center and are getting in touch with counselors much earlier. Student organizations such as Greek Life groups and academic interest groups are reaching out to the center to request presentations and information sessions. Prince said that the center has earned the respect of colleagues in the community and around the state. Later this spring, the Fontaine Center will host the inaugural summit of state schools, technical colleges and independent college and universities to discuss the recommendations of the University System of Georgia’s Alcohol and Substance Abuse Task Force, co-chaired by University of Georgia President Jere W. Morehead. The summit is yet another program made possible by the Fontaines’ support. Prince is excited at the prospect of national experts and state colleagues coming together to form best practices for helping students. She feels a lot more can be accomplished through collaboration and sharing ideas. What’s the ultimate goal of all of these efforts? “A culture shift,” Prince said. Today, a larger number of students are coming to campus who abstain from drinking or who drink very little or moderately. This progress presents new challenges, however. The number of at-risk students may have decreased at the university in recent years, but the students who are abusing alcohol and other drugs are doing so in ways and with drugs that are potentially much more harmful than in the past. Prince admits progress is incremental, but she appreciates the successes of the Fontaine Center’s first 11 years. The Fontaine Center, a unit of the University Health Center, provides a comprehensive range of evidence-based prevention, early intervention and recovery support services to UGA regarding alcohol, other drug and interpersonal violence. The goal is to promote an environment that supports responsible decision-making regarding alcohol and other drug use, on campus and in the community. A generous donation from the family of John Fontaine Jr. has enabled the University of Georgia to create The Fontaine Center for alcohol and other drug awareness and education. For more information, see uhs.uga.edu/aod/fontaine. In 2016, the University Health Center, a department within the Division of Student Affairs, was awarded the highest recognition for health care organizations through the Joint Commission for Ambulatory Health Care (reaccreditation) and Primary Care Medical Home (PCMH). 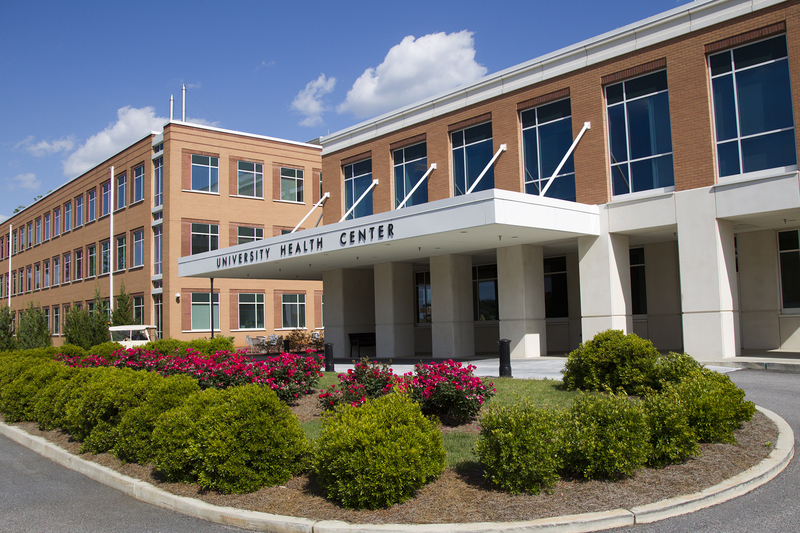 The University Health Center is staffed by more than 250 employees, including 23 physicians with board certification or board eligibility in internal medicine, family practice, sports medicine, psychiatry and gynecology. For more information, see uhs.uga.edu.